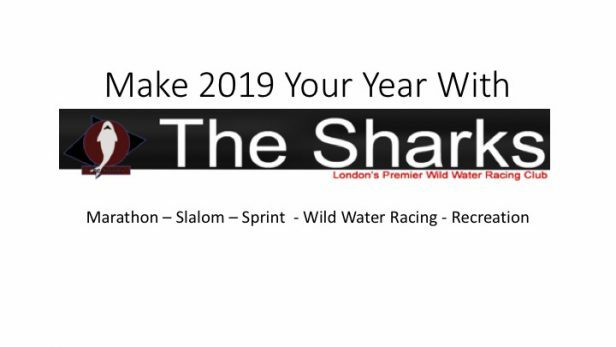 2018, was a quiet year in many ways for The Sharks, but foundations have been laid for what we hope will be an amazing 2019 not just in slalom but across the board. The Club organised two national ranking events, one at Shepperton in May and the second at our home in Harefield in August. Attendances at the events was a little disappointing, but that was also true of slalom events across the board. This is a bit of a chicken and egg situation. We need more events (particularly at entry level) to boost numbers of people taking part, but with out the numbers the events are not viable. As a result of this we are not planning on running slaloms in 2019, however, we do intend to try and support more events than we did last year to get the numbers up. A big thank-you to all those who did help with our events. We want to run events in 2020, and may look at running some short events in 2019, but in order to do this we must also have people who are willing to help organise the events. 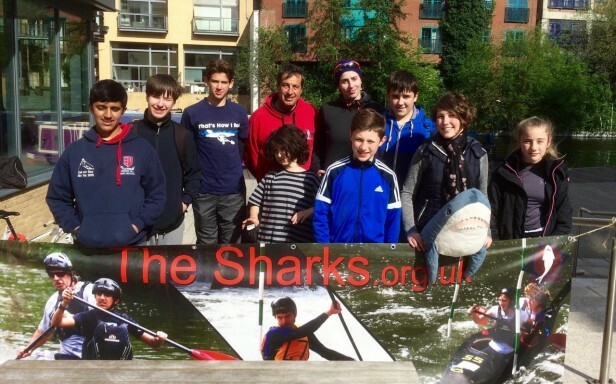 If you are interested please contact us so we can plan for the future: email canoeing@thesharks.org.uk. If we can run some short events in 2019, it would provide excellent opportunities to learn what is involved so we can offer far more in the future. 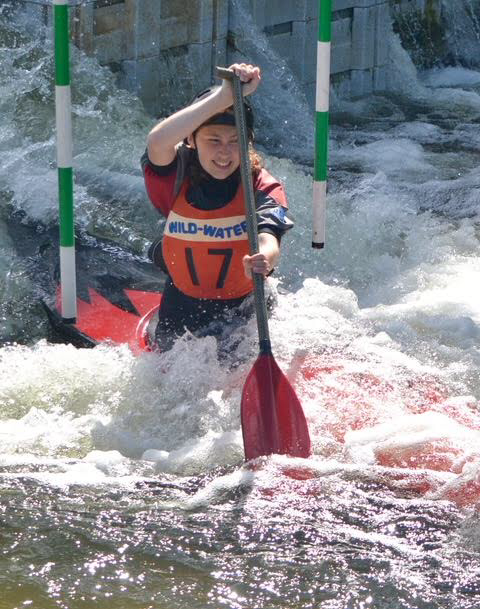 16-years old, Amelia learnt to paddle with The Sharks and has been racing slalom for a number of years. 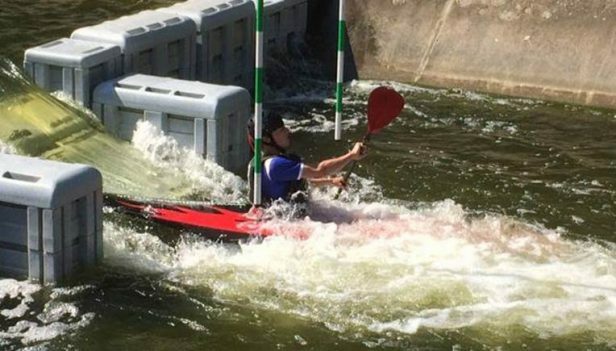 The number of competitions she entered last year limited due to exams, however, she came 38th in Division 2 Ladies’ kayak and starts 2019 with bib number 46. 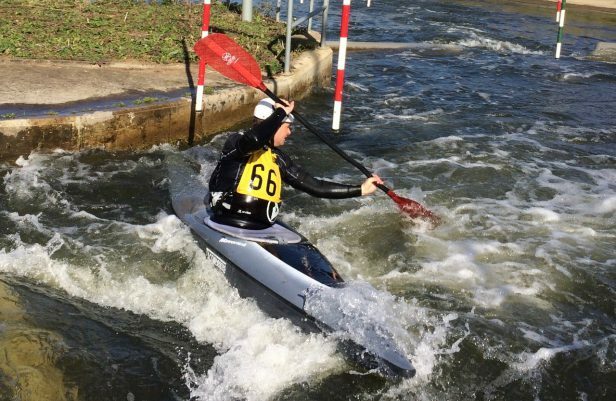 Mel is a recent addition to our ranking paddlers, gaining promotion at Harefield in 2018 to National Division 3. She managed just two events in Division 3 and was ranked 59th. She starts 2019 with bib number 63. 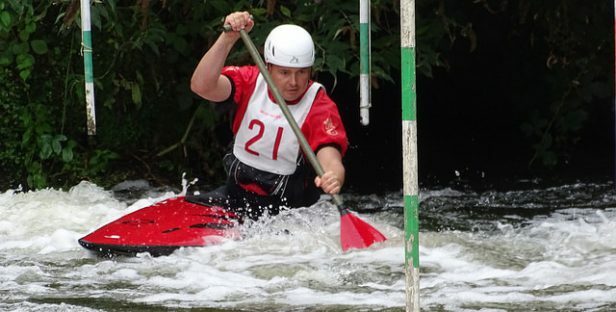 James has been paddling for quite a few years and is currently ranked in Men’s Division 2 kayak and canoe for slalom. In Kayak he came 53rd and has bib number 61. In Men’s Canoe Singles James came 2nd in Division 3 and has bib number 4 this year. 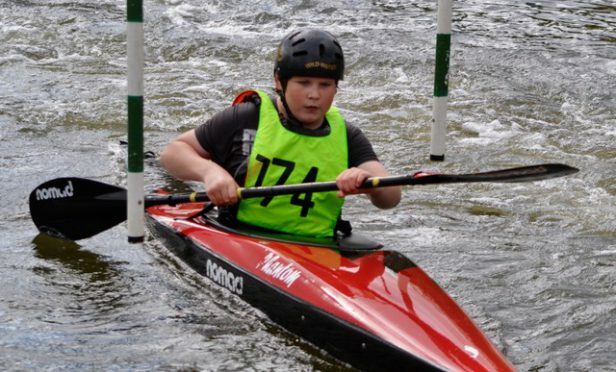 Jacob learnt to paddle at HOAC (Hillingdon Outdoor Activities Centre) and came to The Sharks so he could race, he is now in his second season with the Club and is clearly on the way up. He was promoted to Division 2 in Men’s K1 at the last event of the season, so did not race in Division 2 last year. He was unfortunate to have had a number of events cancelled due to severe weather conditions. But stuck with it and clinched it at the end. Technically he came 145th in Division 2 last year and will race with bib number 148 this year. 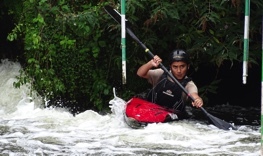 Daniel was ranked in Division 2 for Men’s K1 slalom by the Slalom Committee on his return to competitive paddling. However, the number of events he could attend were limited due to injury and as a consequence has been relegated to division 3. He came 130th in Division 2 and has bib number 3 in division 3. 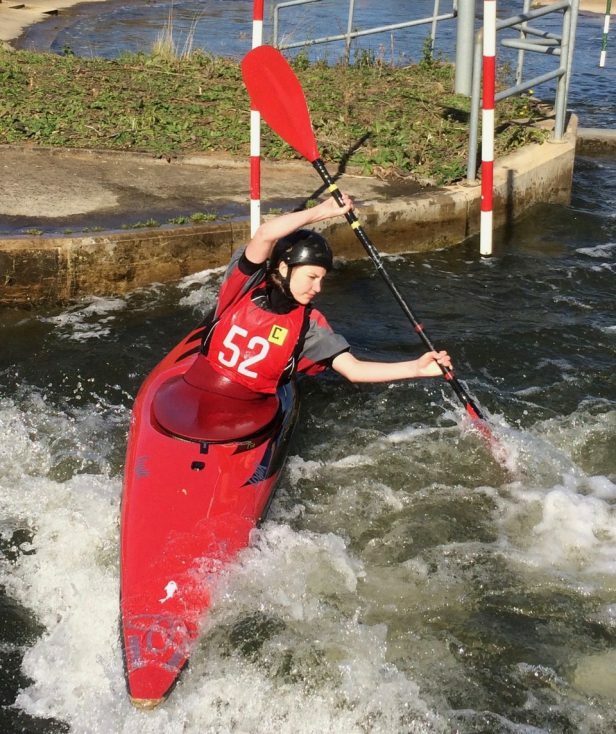 Alex is another paddler who learnt withThe Sharks, now about to enter his third season of competition in Slalom, Alex came so close to promotion last year to division 2, he finished the season ranked number 1 in division 3 and has bib number 4 this year. Is another paddler who came close to promotion last year. He also had a restricted start to the season due to exams, but by the end of 2018, was very close to promotion. He ended the season ranked 7th in Men’s Division 3 and has bib number 10 for this year. 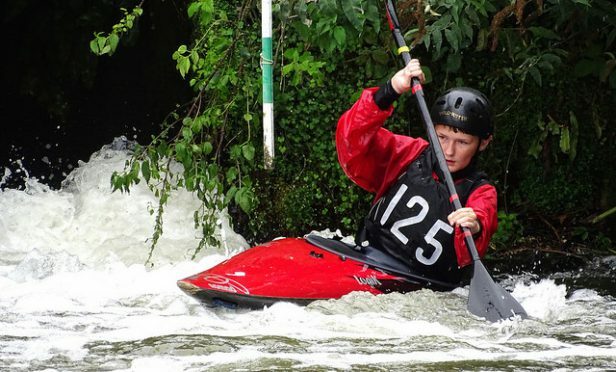 Sam is more often seen in a River Racer than a slalom boat, but he did some slaloms early in the season in Division 3 and was ranked 34th. His bib number is 37 for the new season. 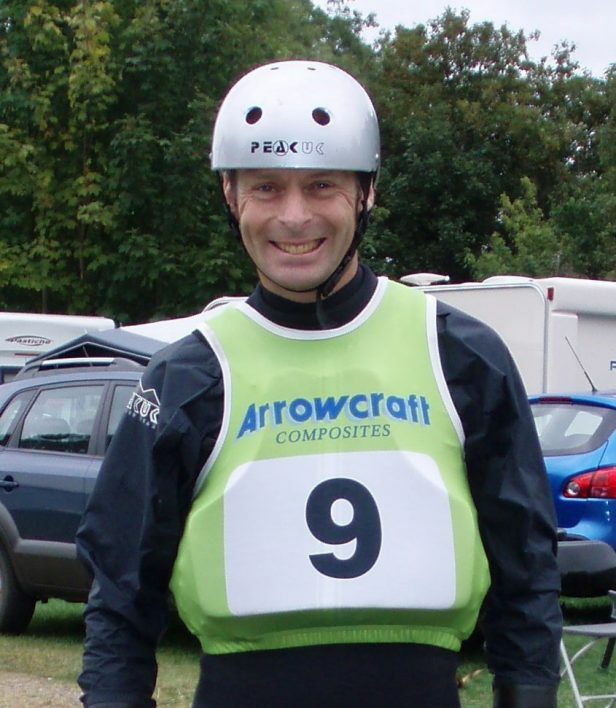 Gavriel, was promoted at Harefield this year in his first ever slalom, having learnt to paddle with The Sharks. He did not complete in any Division 3 races and has bib number 188 for this year. Mel and Rick are our only ranked C2 pair in 2018, coming 34th in the single national division that exist for Canoe Doubles. The have only raced twice last season both runs at the Nene. They have bib number 34 for the coming year. We hope to see both Grant Underwood and Neal Underwood back in action after injuries during 2019. Any other previously ranked paddlers want to get back involved? Many Thanks to Rick Moore for his coaching and support in 2018 and for his commitment to helping build the Club’s future. We have some exciting plans to grow the Slalom side of the Club in 2019. 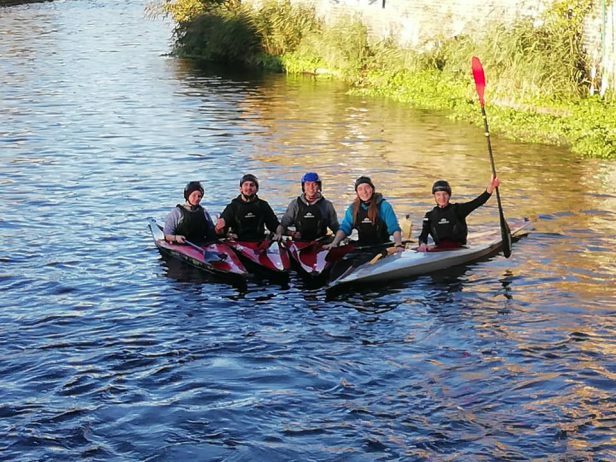 We already have a number of new paddlers we hope to get into competitions and ranked in 2019. We are currently running two Winter sessions a week, Sunday morning from 9:30am at Harefield and 6pm on Wednesday evenings. If you want to do well in early season ranking events is is important that you train now, the season starts at the end of February, which is not far off. We are always looking out for new paddlers and you would be most welcome at our Sunday morning sessions. 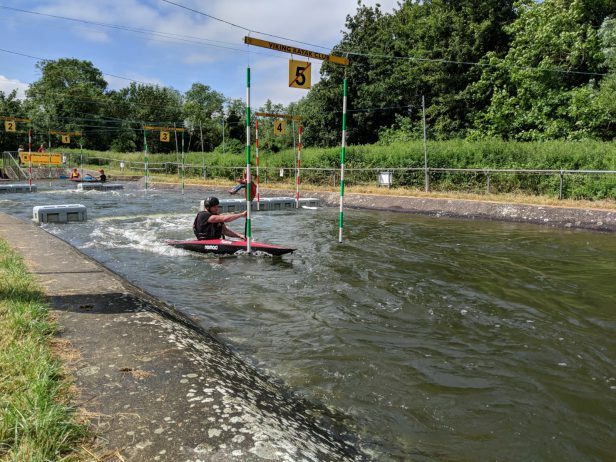 The Club is also entering a partnership with Rickmansworth Sailing Club, which will help us to improve the facilities we have at Harefield, enabling us to do more sessions more often and therefore provide better support for our paddlers. 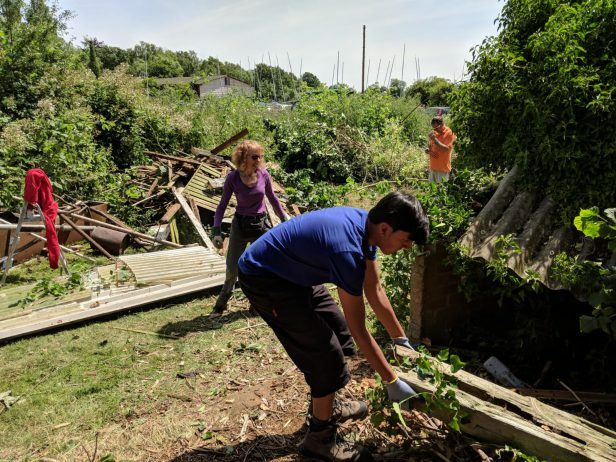 We had a great working party out there clearing the site ready for canoe storage. We hope to be using the facilities in the near future. 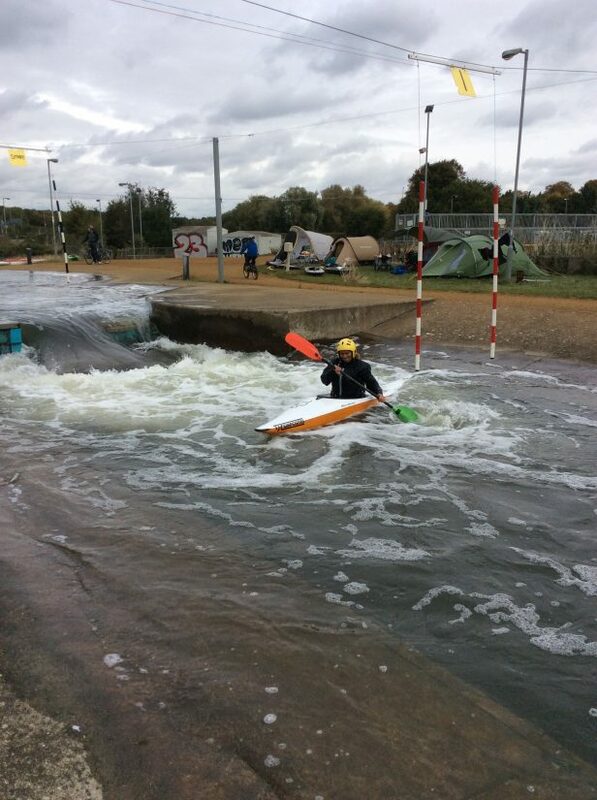 The Partnership will also see us running joint courses, helping people into sailing as well as canoeing. Our big challenge is to link this facility, so that members at other locations (Harlesden, Osterley, Southall, Hayes).can access the site. 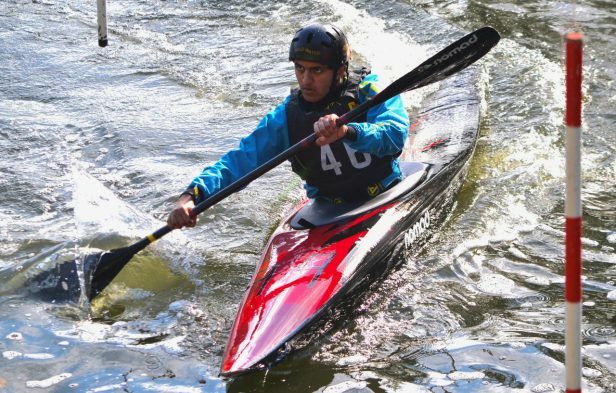 We have started working with paddlers from Brunel University Kayak Club and hope to develop this link to enable their students to get involved and excel at Slalom and other disciplines. We would like to develop partnerships with other organisations and schools, such as Uxbridge College and any schools in West London. So please do get in touch if your group would like to get involved. If your school college does not have a canoe/kayak club, not a problem we will set that all up for you. 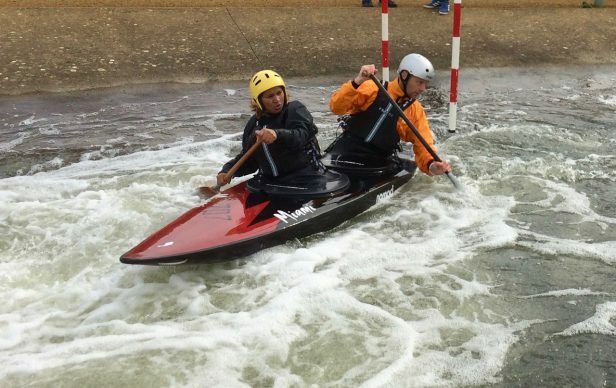 For more information about everything slalom, please chat to us, you can either turn up at our sessions, call on 07951 770241 or email; canoeing@thesharks.org.uk.